I read 6 books in September. 3 were fiction, 3 were non-fiction. 2 were on the Kindle, 4 were in print. All but one were by authors of color. Bring on the Blessings by Beverly Jenkins (2009). The first book in Jenkins’ Blessings series. I was introduced the series when I got the 6th book through Early Reviewers. I read it back in January and thoroughly enjoyed. Just a feel-good, Maeve Binchy-esque series about a historically black town in Kansas, which is bankrupt and puts itself up for auction on eBay. Purchased by billionaire, Bernardine Brown, who wants to turn the town into a haven for foster children. Such a good, light read. Confessions of a Failed Southern Lady by Florence King (1985). A humorous memoir of growing up in DC in the 1940s & 1950s. I loved all the discussion of places I know in DC. The last third includes some very frank discussion of King’s sexual awakening and relationships with men and women. The Fire This Time: A New Generation Speaks about Race edited by Jesmyn Ward (2016). This book is fantastic. Not a weak essay in the bunch. I especially loved Daniel Jose Older’s. Read it, read it, read it. Outrun the Moon by Stacey Lee (2016). Mercy Wong has an plan – to gain admission to an elite girl’s school in San Francisco in 1906 and then leverage that education and connections for business success. Such a great YA read! It Ain’t So Awful, Falafel by Firoozeh Dumas (2016). Middle schooler Zomorod (aka Cindy) Yousefzadeh moves to Newport Beach, California with her parents, and is soon faced with both the normal troubles of middle school and the Iranian Hostage Crisis. Her father, an engineer in the U.S. working on a U.S.-Iranian oil project loses her job. Despite the serious subjects in the book, it is funny and heartwarming. An enjoyable read. March, Book Two by John Lewis (2015). This graphic novel autobiography series by John Lewis is just fantastic. I can’t wait to read the third! Leo is a ghost, yes, but a very friendly one. He makes delicious snacks and loves to draw and play. 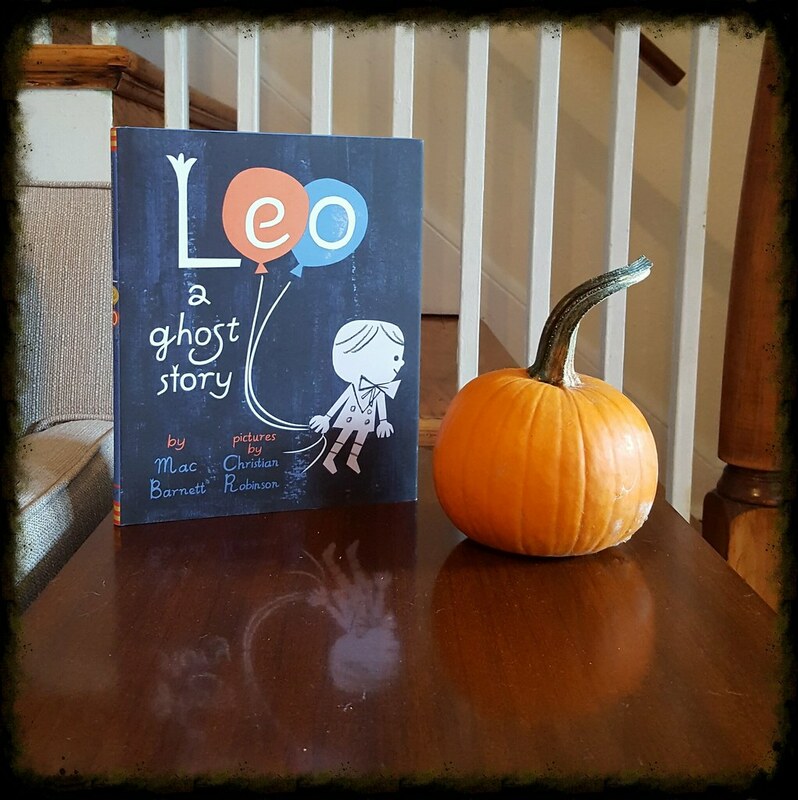 In this tale, when Leo frightens a family that moves into his house, he knows that will never do. He doesn’t want to frighten any one, so he moves out. It’s a little scary being out in the world, but luckily enough he finds a new place he belongs. 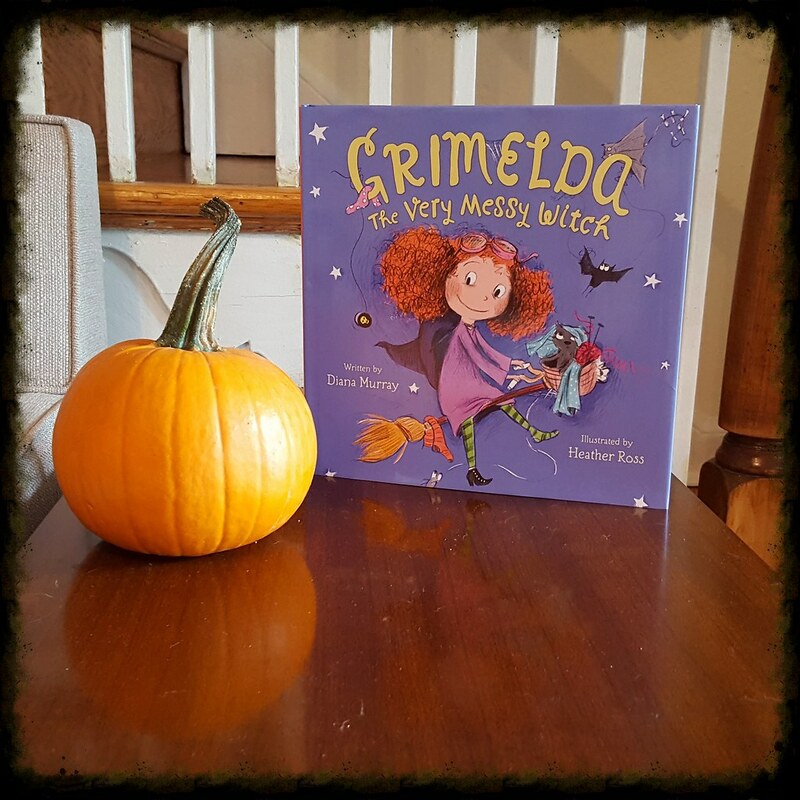 This is not a Halloween story, but in a month when there are a lot of scary things about, it’s nice to read about a ghost who you would want to be friends with! I read 11 books in August. 6 were fiction, 5 were non-fiction. 1 on Kindle, 1 on Audiobook, the rest in print. Only one was a writer of color, so clearly I need to work on this. Trying to make the majority of books I read by writers of color in the next few months. Spider-Woman: Shifting Gears Vol. 1: Baby Talk by Dennis Hopeless (2016). Here’s all you need to know about this book: Spider-Woman is a pregnant superhero. It is just as awesome as you are now imagining. The Family Fletcher Takes Rock Island by Dana Alison Levy (2016). So happy for a second offering of my new favorite middle grades family. The Family Fletcher is two (white) dads, and four sons – all adopted, two white and two black. In this book, the family goes on their annual summer vacation to Rock Island, but are surprised by the changes on the island (the lighthouse is closed! they have new neighbors!). I Am Princess X by Cherie Priest (2015). A really interesting mystery about a girl whose childhood friend died in a car accident, who suddenly starts seeing around town, art featuring Princess X, a character she created with the (dead?) friend. A mix of comic and text and a total page turner. Go-Go Live: The Musical Life and Death of a Chocolate City by Natalie Hopkinson (2012). Go-Go is a musical style that originated (and remains most popular) in the DC area. This was an interesting look at both the music and the racial history of DC the second half of the 1900s. Lumberjanes: Out of Time by Shannon Watters (2016). Fourth volume of the Lumberjanes series. Always worth reading. Sisters in Law: How Sandra Day O’Connor and Ruth Bader Ginsburg Went to the Supreme Court and Changed the World by Linda Hirshman (2015). I listened to this book on audiobook for Task 6 of Read Harder 2016 (Read a biography). It was an interesting look at the education and legal careers of the first two women on the Supreme Court – and at the friendship between the two. Moon Girl and Devil Dinosaur, Volume 1: BFF by Amy Reeder (2016). Once I heard that 9 year old, Lunella Lafayette, aka Moon Girl, had been declared the smartest girl in the Marvel universe, I knew I had to read this book! A great addition to the strong, diverse cast of female superheroes these days! Spectacles by Sue Perkins (2015). A very funny memoir by one of the hosts of the Great British Bake Off. I totally enjoyed it. If you are interested in reading, let me know. I don’t think it was published here in the U.S. – I ordered by copy used off Amazon. Prez Vol. 1 by Mark Russell (2016). A satirical political comic about a teenager elected President at a time when voting on Twitter is allowed! Dark but weirdly hopeful. Dimestore: A Writer’s Life by Lee Smith (2016). Thoroughly enjoyable memoir of growing up in Appalachian Virginia, with parents who were “kindly nervous” and Smith’s development of herself as an author. Although I grew up in the “urban” rather than rural South, Smith really captured some truths about my own experience as a Southerner. I got this book through the LibraryThing Early Reviewer’s program. Capitol Men: The Epic Story of Reconstruction Through the Lives of the First Black Congressmen by Philip Dray (2010). I had been wanting to read this book for a while – Reconstruction is an era I probably haven’t read about since elementary school and I’m a bit of politics nerd – hazard of being a legislative researcher. It didn’t disappoint – really interesting look at the history of an era of hope and change and violence and regression. I counted this for Task 21 of Read Harder 2016.